The Sholem Community is a secular and progressive Jewish educational, cultural, and social institution. Our Sunday school teaches Jewish history, culture, and ethics. We offer a bar/bas mitsve program and observances of Jewish holidays. We offer pretty much what a synagogue does, but from a secular—meaning non-religious—point of view. We have been in the Los Angeles area since the early 1950s. 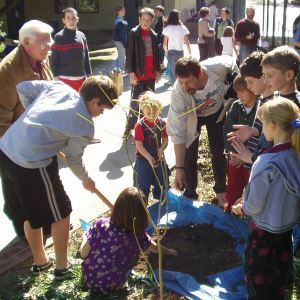 Most of our activities revolve around our Sunday school held during the school year between 10:00 am and 12:30 pm at the Westside Neighborhood School near Marina del Rey. Many of our adult activities (seminars, panel discussions, guest speakers) take place at the same time the school is in session. We also have activities such as theater parties and holiday observances unrelated to the school schedule. Approximately 50 children are enrolled in our school and our parent/toddler group called Bagels ‘n Blox. We pride ourselves on our progressive outlook, our welcoming and warm environment, and our sense of community. Our not-for-profit, 501(c)(3) organization runs in part as a cooperative. Members are actively engaged in Sholem’s management and operations. Our paid staff consists of a school principal and our school personnel. We are affiliated with the Congress of Secular Jewish Organizations. The Sholem Community stresses the historic, cultural, and ethical aspects of our Jewishness. We view our Jewish identity as one that is relevant to contemporary life and committed to justice, peace, and community responsibility. Secular Jewishness has a long and proud history. We trace our roots to the Prophets—who opposed priestly rituals and social injustice … to the rationalism of Baruch Spinoza and to the thinkers of the Jewish Enlightenment—who gave rise to the first secular Jewish organizations which arose in the late 19th and early 20th centuries. 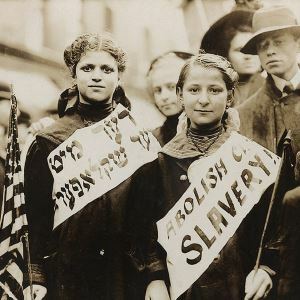 Those organizations gave birth to the great Jewish social enterprises of our century: Zionism, communal organizations, and the Jewish labor/socialist movements. 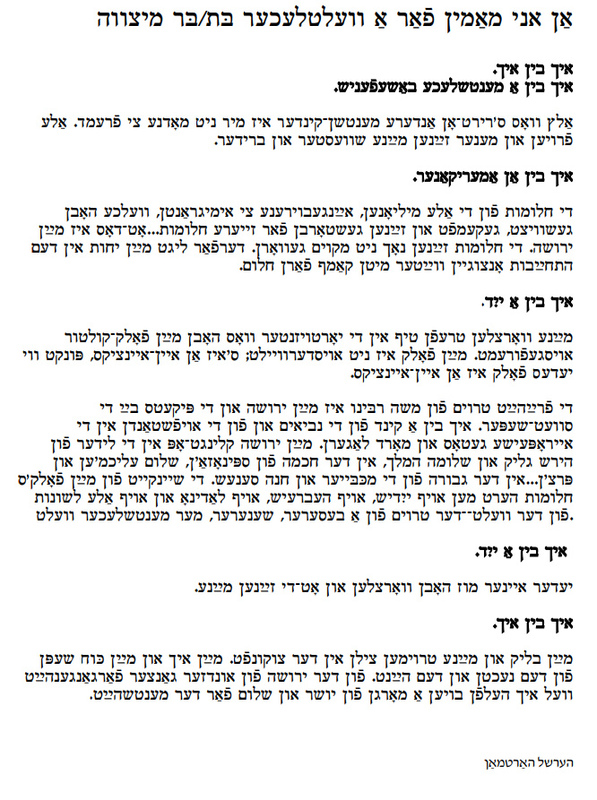 Most of the core of Jewish culture in Yiddish, English and modern Hebrew stems from Jewish secularists. So, too, does the overwhelming bulk of Jewish humor, folklore and folk songs. The ethical value system of secular Jewishness derives from roots which stress the principles of social and personal justice and the progressive, humanistic concepts in contemporary democratic thought. In concrete terms, we are proud of the roles that secular Jews have played and continue to play in such progressive causes as the labor, peace, and civil rights movements. The Sholem Community is a progressive, welcoming, multi-generational organization that furthers secular Jewish identity by providing educational and cultural programs, as well as holiday and life-cycle observances. The Sholem Community is a secular Jewish educational, cultural, and social organization for adults and children. Drawing inspiration from the history, culture, and values of the Jews as a people, we maintain a Jewish identity through our educational programs, by providing observances of Jewish holidays, and by offering life-cycle events and celebrations. Our Sunday school teaches evidence-based Jewish history and a humanistic approach to ethical behavior. We promote progressive values, and we encourage our members to participate in activities that advance peace, social, and economic justice. 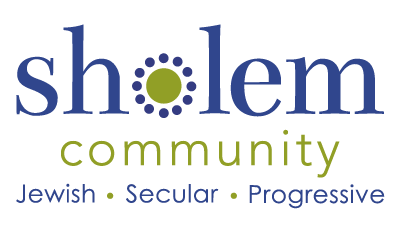 Sholem welcomes and celebrates the wide diversity of its members, including single parents and intercultural families, regardless of sexual orientation, cultural, or faith backgrounds. As a secular organization, we view the Torah as an important literary and societal work rather than a sacred text. Sholem School students study the Torah critically. Adult seminars often cover aspects of Torah study. We regard classical Jewish texts such as the Bible and the Talmud as part of a vast heritage of Jewish literature that offers a wealth of insight into humanity. We approach the Torah as we might any other significant work: When was it written and why? Who wrote it? Is it accurate? Why are there inconsistencies? What does it tell us about history? The Torah was written over a long period of time for a variety of reasons. While it contains many fascinating characters, lessons, and legends, Secular Jews view it critically, taking issue with many of its laws and teachings – particularly those which are inconsistent with our modern sense of justice, ethics, condone slavery, or are misogynistic, anti-gay, or contemptuous of non-Jews. Nothing that touches other human beings is strange or foreign to me. All women and men are my sisters and brothers. The dreams of all the millions, native and immigrant, who sweated, struggled and died for their dreams—all this is my heritage. The dreams are not yet fulfilled. Therefore, my heritage imposes my responsibility to carry on the struggle for the dream. My roots are deep in the millennia that formed my people’s culture. My people is not chosen: it is unique, as every people is unique. The freedom-dream of Moses is my heritage, and the picket-lines at the sweatshops. I am a descendant of the Prophets, and of the uprisings in Europe’s ghettos and death-camps. My inheritance is in the songs of Hirsh Glik and Solomon, in the wisdom of Spinoza, Sholem Aleykhem and Perets, in the heroism of the Maccabees and Hannah Senesh. The beauty of my people’s dream finds voice in Yiddish, in Hebrew, in Ladino and in all the languages of the world – the dream of a better, more beautiful, more humane world. Every person must have roots and these are mine. My eyes and hopes are on the future. My identity and my strength come from the past and from the present. From the heritage of all our yesterdays, I will help to build a just and peaceful tomorrow for all humanity. Nada de lo que toca a otros seres humanos me es desconocido o extraño. Todas las mujeres y los hombres son mis hermanas y mis hermanos. Los sueños de los millones de indígenas e inmigrantes quienes sudaron, lucharon y murieron por sus sueños, todo esto es mi herencia. Estos sueños aún no se han cumplido. Por lo tanto, mi herencia me impone la responsabilidad de seguir en la lucha para que estos sueños se cumplan. Mis raíces se encuentran en la profundidad de los milenios que dieron forma a la cultura de mi pueblo. Mi pueblo no ha sido el escogido, mi pueblo es único, así como cada pueblo es único. El sueño de la libertad de Moíses es mi legado, así como los piquetes en las maquiladoras. Soy descendiente de los profetas y de los levantamientos en los guetos y los campos de muerte. Mi herencia está en las canciones de Hirsh Glik y de Salomón, en la sabiduría de Spinoza, Sholem Aleykhem y de Perets, en el heroísmo de los Macabeos y de Hannah Senesh. La belleza del sueño de mi pueblo encuentra su voz en Yiddish, en Hebreo, en Ladino y en todas las lengüas de la tierra – el sueño de un mundo mejor, más humano. Cada persona debe tener sus raíces y estas son las mías. Mi mirada y mis esperanzas están puestas en el futuro. Mi identidad y mi fuerza vienen del pasado y del presente. Desde la herencia de nuestros ayeres, ayudaré a construir un mañana más justo y pacífico para toda la humanidad.